You MUST have your photo ID to enter!!! Click to the RIGHT to download a PDF file of the Guest Pass. Click to the RIGHT to download a PDF file of the Activities Clearance. ALL students MUST BE CLEARED to buy a ticket.....even if you previously bought a CCC. "Photo booth" photos will be available at the dance from Say Cheese Photography. 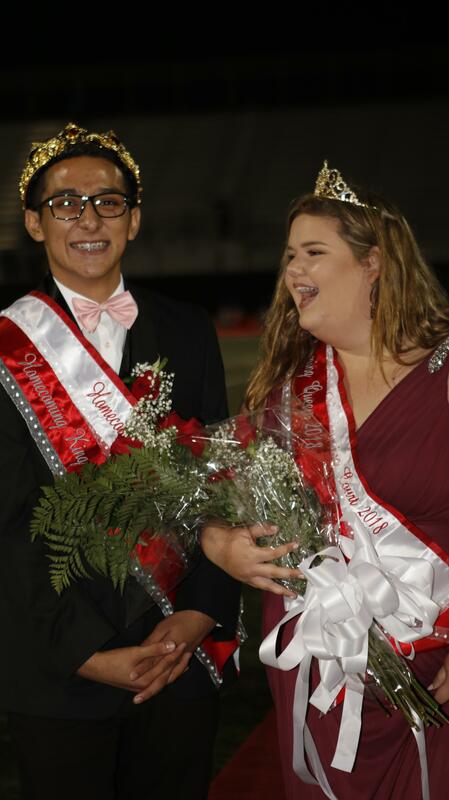 WINNERS IN BOLD, KING & QUEEN TO BE ANNOUNCED AT THE GAME! KING RANDY GARNER & QUEEN EMILY ROGERS! !